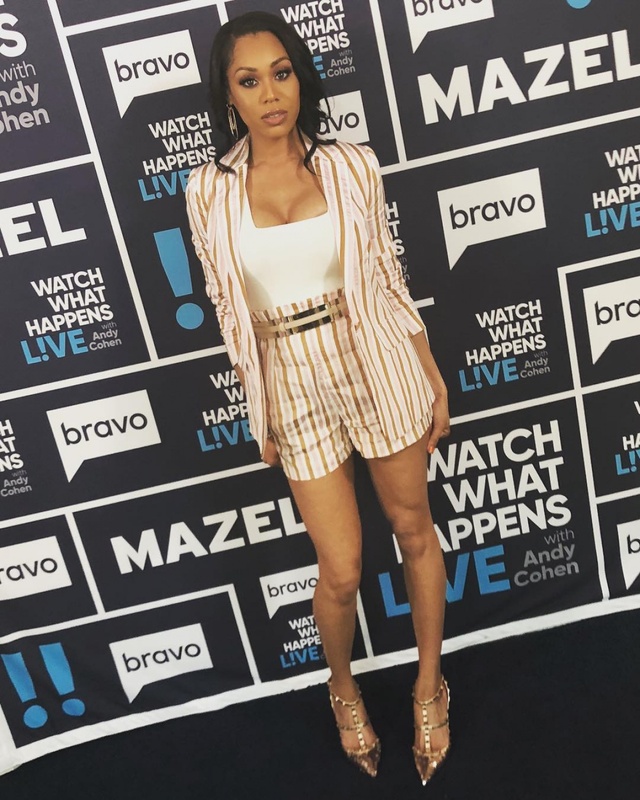 "The Real Housewives of Potomac" star Monique Samuels is pregnant again after having a miscarriage. The 34-year-old announced Sunday that she's expecting her third child with her husband, former NFL star Chris Samuels. Samuels showed off her baby bump in a cute video on Instagram. The clip shows the star waving the sides of her loose-fitting jumpsuit before pulling the fabric taut over her belly. "I'm way too happy to be bothered... I'm full of life... LITERALLY #RHOP #moniquesamuels #realhousewivesofpotomac #blessed #partyofFive #unbothered," she captioned the post. Chris, who played offensive tackle for the Washington Redskins, shared the same video on his own account. "Yes it's true... it still works," he wrote, adding a tears of laughter emoji. "Baby #3 is cooking @mrsmoniquesamuels." Samuels is parent to 5-year-old son Christopher and 2-year-old daughter Milani with her husband. She announced in an April episode of "The Real Housewives of Potomac" that she had a miscarriage. "A little over a month ago, we had a miscarriage," the star said on the Bravo series. "To be honest, I don't think I still have fully dealt with it. We have literally been nonstop." "As soon as I took the pregnancy test, Chris was just grinning from ear to ear. And it never once dawned on me that we would lose it," she added. "Until you've experienced loss, it's hard to even put it into words, you know?"